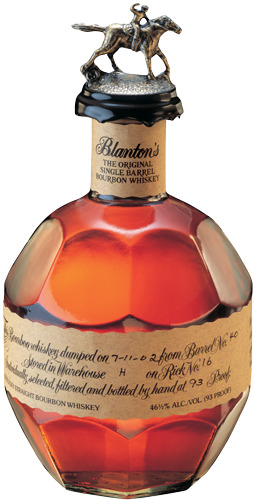 Bold and well structured, this Bourbon features warming vanilla and caramel accented by orange peel, stone fruit and a dry baking-spice finish. Sip it with a chunk of ice, or mix up a round of juleps. The trademark round, faceted bottle with the horse-topped cork is perfect for Derby Day.